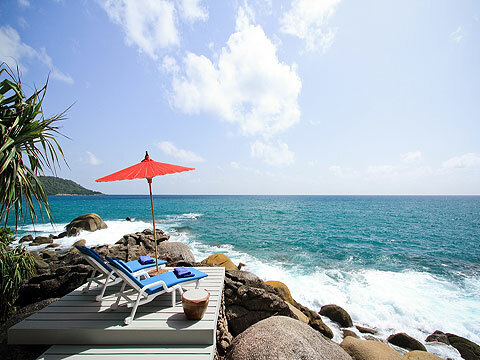 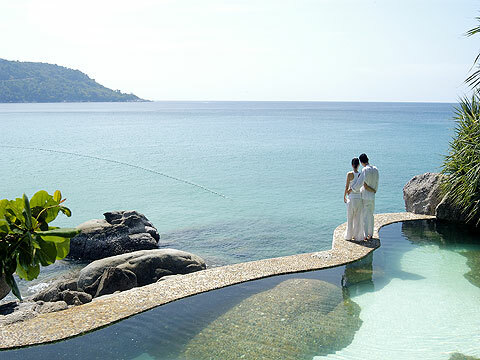 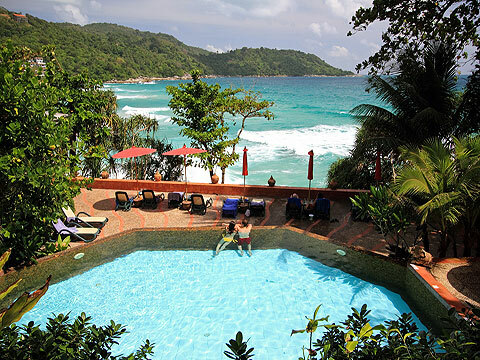 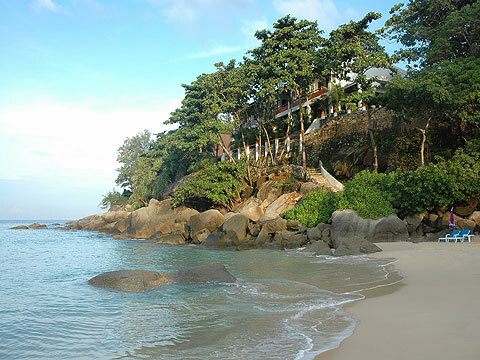 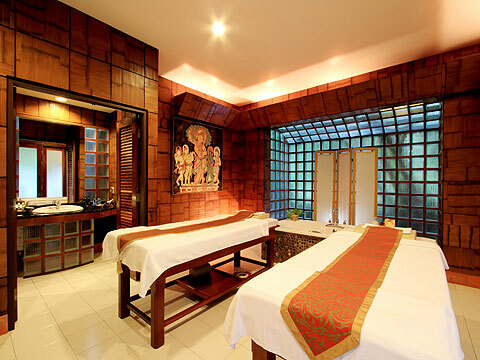 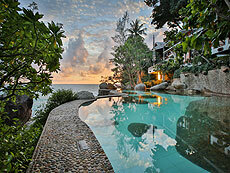 A luxury boutique resort situated on a headland of Kata beach. 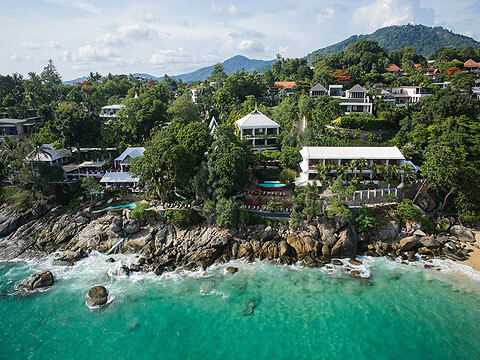 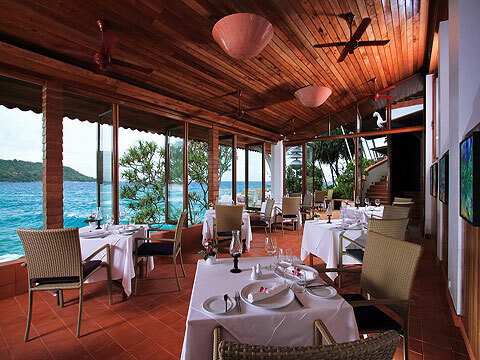 Mom Tri’s Villa Royale is a luxury boutique resort located on a small hill of Kata Beach, Phuket. 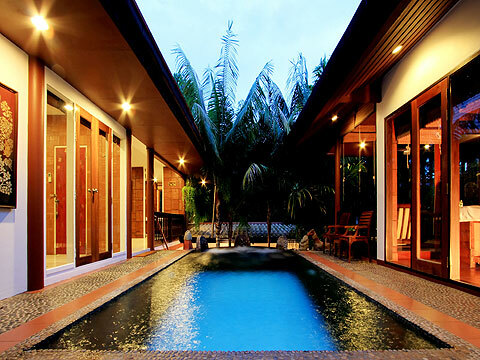 This is a sister hotel of “Mom Tri’s Boathouse”, and offers 26 suites, three swimming pools, and spa facilities. 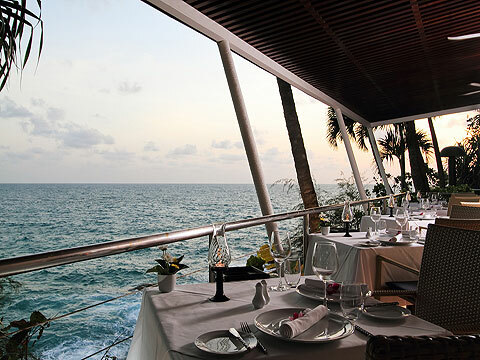 The staff offer a sophisticated professional service that will impress the guests from all over the world, and many of them come back again and again. 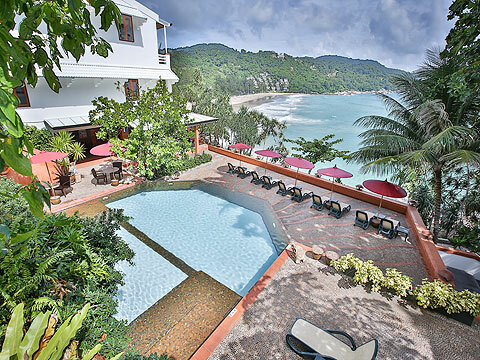 * The rates quoted for 2 Bedroom are in Thai Baht per room per night for both triple or quad occupancy. 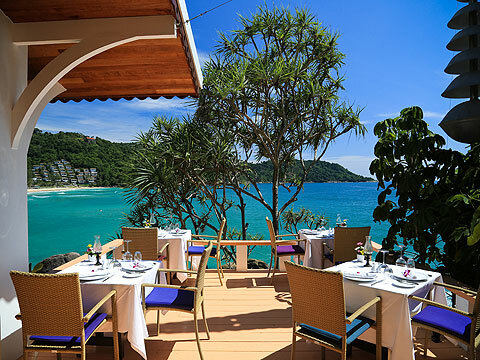 * A child/children 5-11 years sharing a room with adults without putting extra bed will be charged only breakfast fee of THB 425++/child. 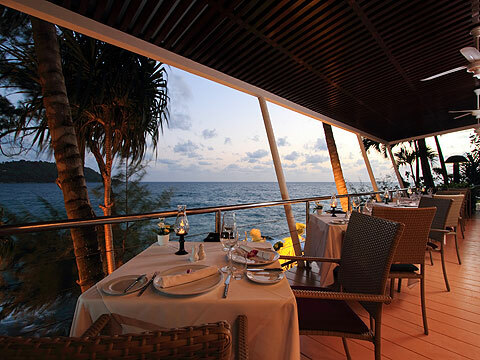 *All 3 Ocean Wing Suite categories : Children under 12years old are not permitted.